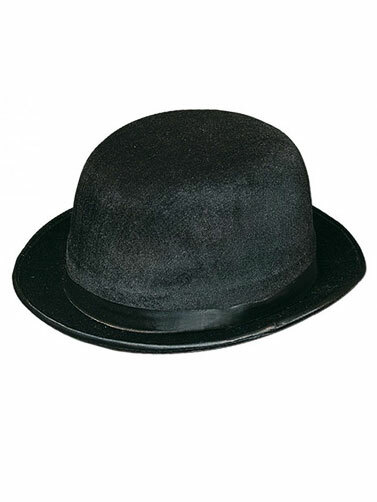 This Adult Black Derby Hat has a velvet feel and will compliment a number of Halloween costumes. Felt Derby style hat with black sash. Adult size. One size fits most.